Austria holidays, Salzburg, Kaprun, Zell am See and so much more: 38 things to do on an Austrian winter holiday - and 79 Austrian things to be thankful for! Kitzsteinhorn glacier above Kaprun where it possible to ski in the Summer months. Thinking about winter holidays? 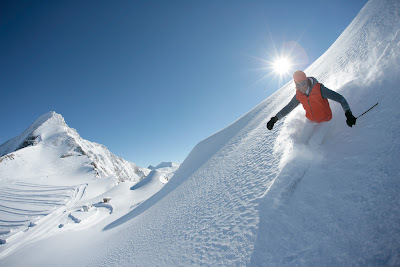 or skiing holidays in Austria? I started a list off to count up the options, of things to do, places to go, got to twenty suggestions and the ideas still came flooding out. But it is reasonable to say that there is plenty to do and see on a winter / ski holiday in Austria. If you are looking for a list of events and happenings in the Kaprun and Zell am See ( On the internet sometimes spelt ZellamSee ) ski area click on the link here. 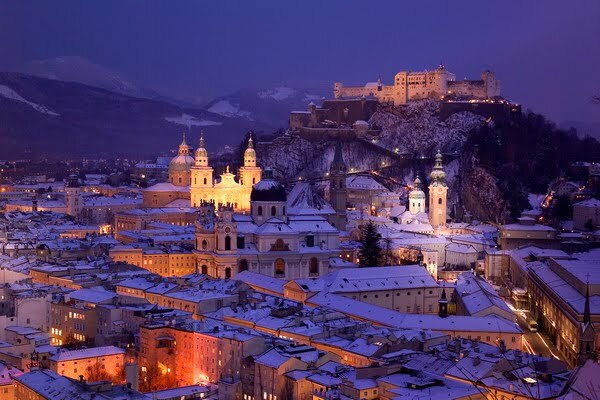 Salzburg a superb city to visit whatever the time of the year. 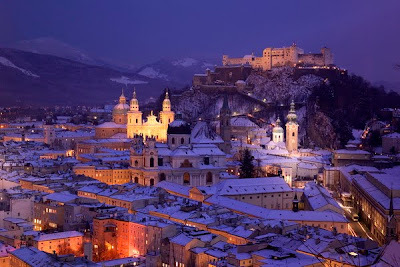 Salzburg in winter, a fantastic city to visit, explore and to shop in. Go in search of Apre Ski. (what you do after a day on the slopes, eat, drink & party). Visit an Art gallery in Salzburg, Vienna, Linz, or Innsbruck, cities of culture. Visit a local museum Bad Gastien, Kaprun, Zell am See or Saalfalden are pretty interesting ones. Visit a Wellness, Spa or Beauty centers, relax, unwind, ease away aches and pains. Tauern Spa Kaprun and the spas in the Gastein valley are fantastic places to chill. Skittles or indoor Bowling great with a beer! Children's playgrounds, children still like them in the snow! Visit the cinema, improve your German! some have international day showings. Cleared footpath walks to follow, stopping at a mountain restaurant for a hot chocolate or something stronger!. Cross Country Skiing across the valley bottom. Curling on ice or even on a frozen lake? Horse riding in the snow, or maybe a sleigh ride. Indoor tennis at Zell am see. Nordic Walking - walking with poles, give that body a workout. Top up the sun tan, bright and sunny in the snow. Spa, sauna, steam room, Spa-World-Kaprun well worth a visit, or try the Gastein valley with 2 fantastic thermal spas, at Bad Hofgastein the alpentherme.com or at Badgastein Felsentherme. Snow shoeing, walking across snowy slopes through trees and across snow covered meadows. Sit have a coffee or a Glühwein and soak soak up the atmosphere and history of the place. Visit a Sports centre with a gym. Swimming pool inside or out? Winter markets, shopping at Zell am See or Salzburg market in the snow. Sit down have a hot chocolate, take in the views and relax, you are on holiday. Have a meal to remember having burnt off the calories. You are on holiday you decide? 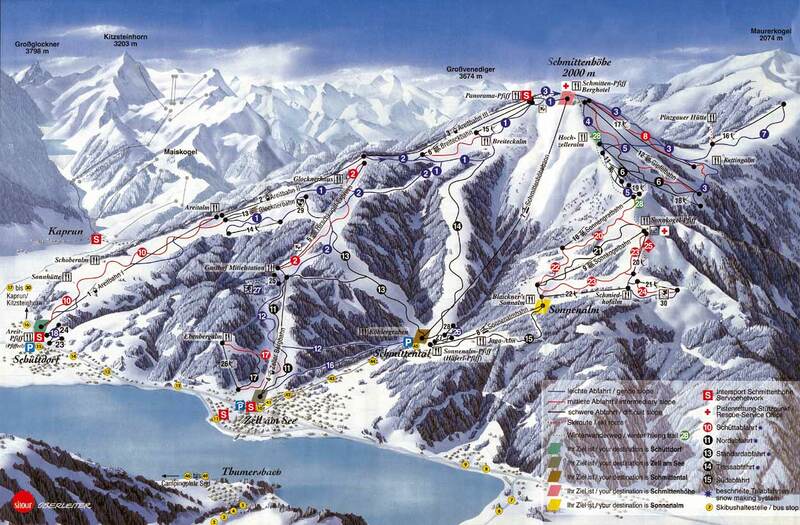 Winter Ski map of the Kaprun and Zell am See area. Attached was added at a later date and is copied with permission from an interesting blog found / written by an American teaching assistant by the name of Rebecca, who was based in the Austrian City of Graz, on her work experience trip in Austria. "Under the heading I'm thankful" it adds to quite a list of 79 things about Austria. for Austrian school and office supplies -- so much cooler! 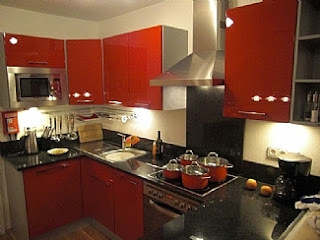 for everything pumpkin out of Styria: pumpkin seed oil, pumpkin cream soup, pumpkin bread, etc. that I had so many visitors in the past couple years! that people have stopped introducing me as, "This is Rebecca. She's American." that there are very few tourists in comparison with the other Austrian cities"
Quite a list, we would welcome other suggestions about what is good about Austria. It should be great to spend Luxury Sports Holidays in there. Wow. I've read and produced guides to skiing in Austria but this is the first that made me smile while reading. We love Zell am See. First skied there with a friend who worked in the town as an instructor so got a good feel for the place. Great contrast to the purpose built French resorts. Last year i was there in Austria and we enjoyed the beauty of Vienna and salzburg. I have done most of the listed activity in Austria. Winter ski vacation over there is so fantastic. No doubt about it, Austria is a wonderful country. But I can't forget that close to there is my love ... gorgeous Italy ! Thanks for sharing your Experience of Tours Austria For Groups.... Austria Tours is Awesome Destination but i like Hotels For Groups Vienna.. I agree with Derek Housley .. This article is very detailed and informative on this topic, thanks for sharing!